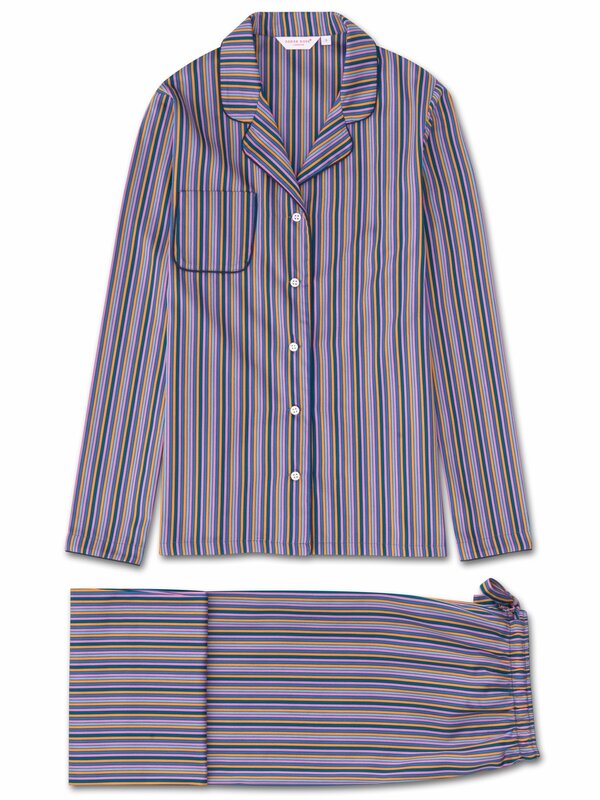 Designed in our London studio, the Milly 5 striped design is a nod to our striped pyjama heritage but takes its inspiration from the vibrant colours of India. Bright orange, teal, pink and light blue stripes come together for an eye-catching design. Made from pure cotton, the Milly 5 jacket features a fully piped finish in a navy trim, a single patch pocket and mother of pearl buttons. The quality of craftsmanship continues with the trousers and their elasticated waist with self fabric drawstrings for added comfort.